Although there are two factors that suggest that I should not write about this – one the distance from London and two the fact that it is nearly over – I will still mention it in association with my Cartier book review. 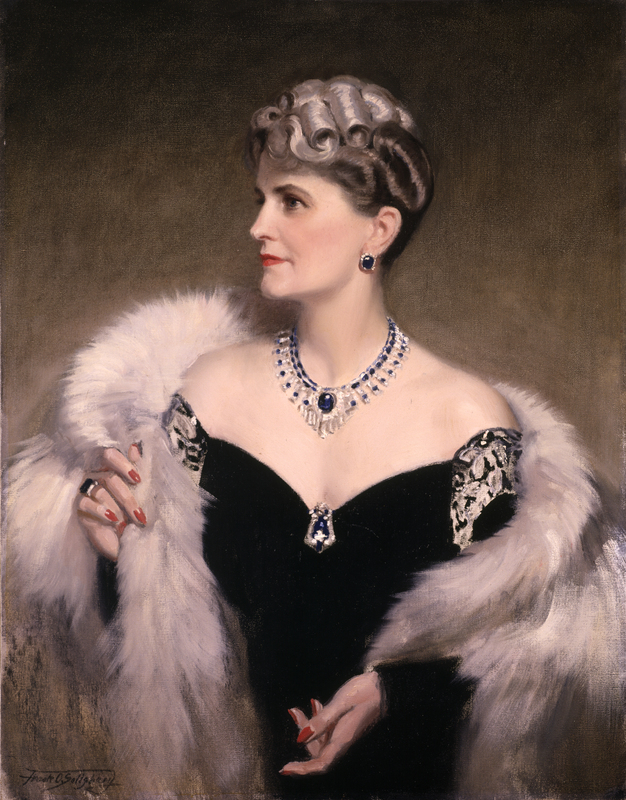 While many of you will know of Mrs Post’s collections of French and Russian decorative arts (the latter is considered the best outside of Russia) she was also a serious collector of jewellery of the highest quality and ranks among the great American Cartier patrons. This exhibition which combines Hillwood’s own holdings of her jewellery and some of the jewellery she donated to the Smithsonian in 1964 reflects her taste and style. Among the loans is the Maximilian Emerald ring, named after the ill-fated Mexican Emperor, which she wore when presented at the English Royal court in 1929. She also had a French carpet that belonged to the Emperor in her Hillwood dining room. 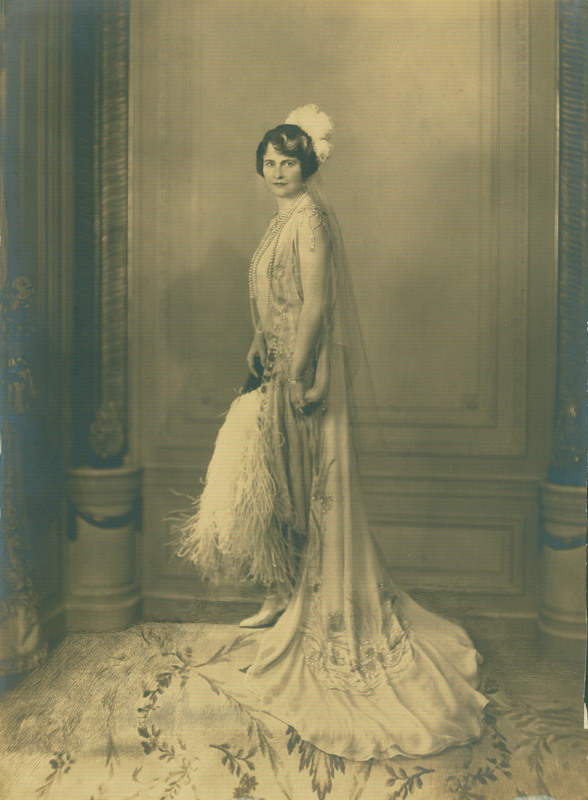 Photograph of Marjorie Post taken at the time of her presentation of the Court of St. James’s in 1929. Nor were her Cartier purchases and commissions restricted to jewellery as she ordered frames in enamel, agate and onyx, sometimes adorned with semi-precious stones which were specially designed to complement the intended image they were to contain. Gem-set gold vanity cases and an extensive silver and enamel dressing table set were among her other purchases. This Cartier piece serves both practical and decorative purposes. 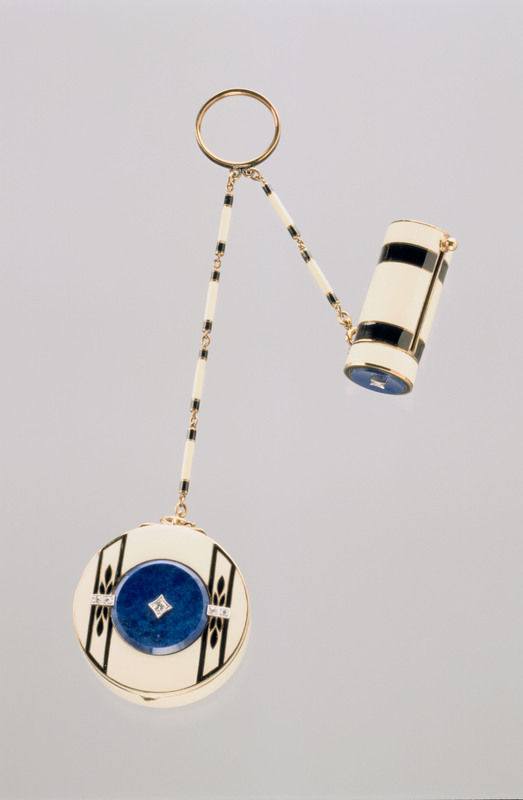 The lipstick case and compact are both enameled in black and white with lapis lazuli and diamond accents. Each component suspends from enameled chains that attach to a gold ring. The interior of the compact is fitted with a mirror and also has a small compartment for coins. The ring to which the compact and lipstick case are attached can be slipped onto a finger so that the items can also be worn as an accessory. 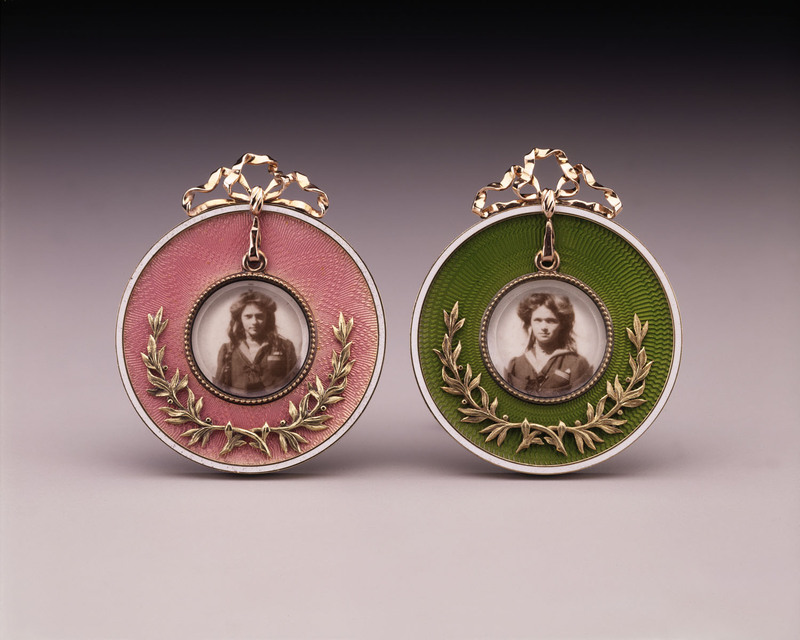 Although the exhibition ends soon some of her jewellery is displayed in Hillwood; a house that perfectly reflects her interests and style and should be a must see place for any visitor to Washington DC. This entry was posted in British Paintings, Carpets, Costume, Decorative Arts, French 18th Century Art, Jewellery, Photography, Russian Art, Visual Arts, Works of Art and tagged 18th century French Decorative Arts, 19th Century French Art, Decorative Arts, Jewellery, Marjorie Merriweather Post, Photography, Russian Art, Russian Imperial Family, Russian Photography, Visual Arts.